Did you know? St Lucia is the only country in the world named after a woman and has the 2nd highest number of Nobel prize winners per capita. A photographer’s paradise, St Lucia is packed to the brim with dream like vistas, paradise landscapes and pure Caribbean beauty. From its emerald rainforest and untouched beaches to its unique Caribbean flavours, there truly is beauty every way you turn. Once an island, this 44-acre islet was connected to the mainland by causeway in 1972. Numerous forts and battlements demonstrate an illustrious past of battles between French and British. The forts were once used by the British to spy on French ships from neighbouring Martinique. Not only that, ancient artifacts date back as far as pre-historic times. 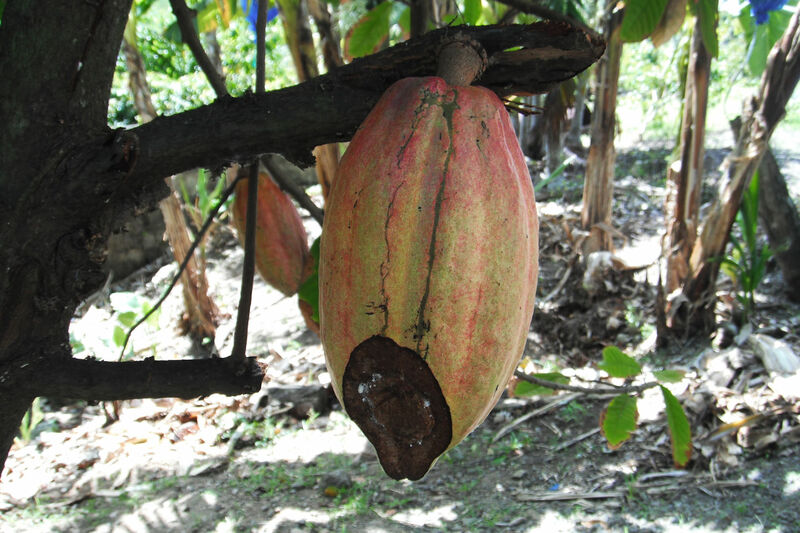 Cocoa beans grow in plantations across St Lucia and several of them offer tours and tastings. The Bean-To-Bar tour at The Rabot Estate (owned by Hotel Chocolat) is a must. 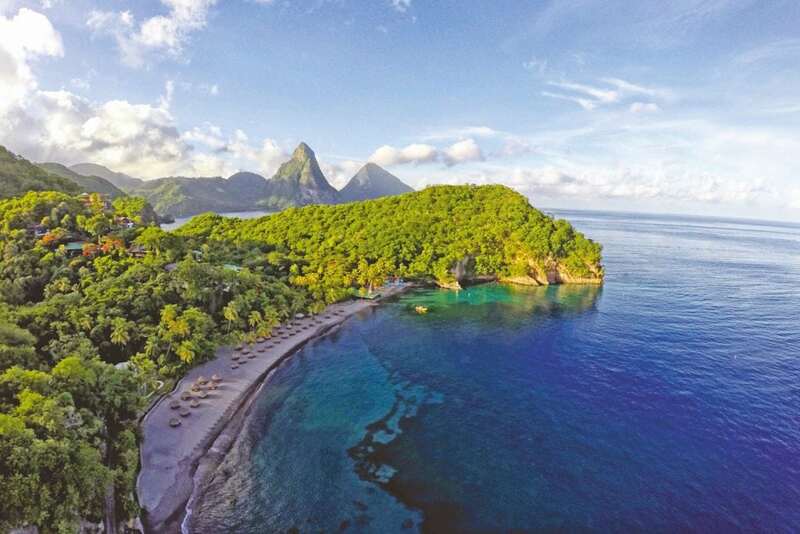 The 140-acre estate is in fact the oldest plantation and commands views of the pitons and rainforest canopy. Pick fresh cocoa beans, add sugar, butter and come away with your own unique chocolate. The ‘drive in volcano’ allows visitors to safely drive right up to an active volcano. You may not see lava, but plumes of steam bubble out of the volcano’s mouth. There are springs here, but with temperatures way over 100˚C these aren’t for bathing. Further down-stream is where you’ll find the cooling mud baths and more temperate springs park. 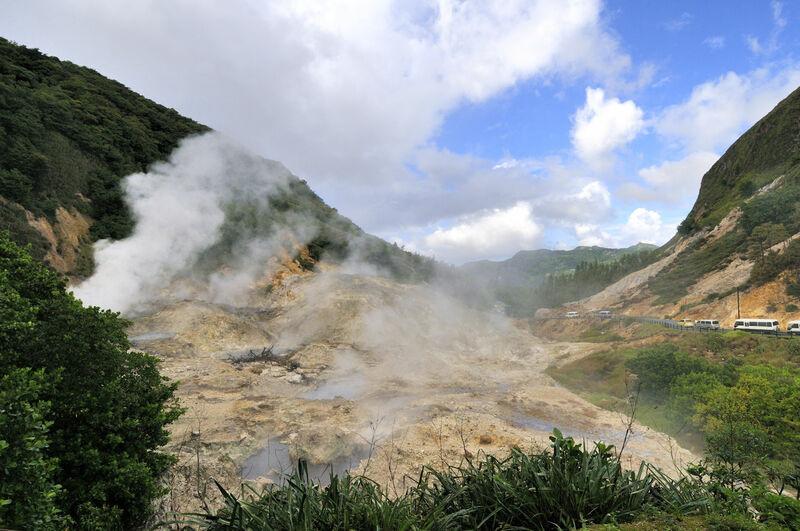 The mud baths are said to have detoxifying and healing powers for the skin. After bathing in the mud, wash off in the thermal springs before cooling off in the nearby waterfall surrounded by rainforest. Located near Soufriere, entrance $10. tours are available. Changing rooms and showers available. Experience exhilaration above the rainforest canopy. Across the island are a range of adventure tours featuring zip lines and adventure courses. Excellent for a family adventure or a thrilling couples day out. Treetop Adventure Park – A tour of St Lucia’s treetops. A 4-hour tour with zip lines up to 50ft high. Located inland from Dennery Village. From $85. Morne Coubaril – 1 hour course including 8 cables that run over the Morne Coubrail Estate. Located South of Soufriere. Prices from $75. 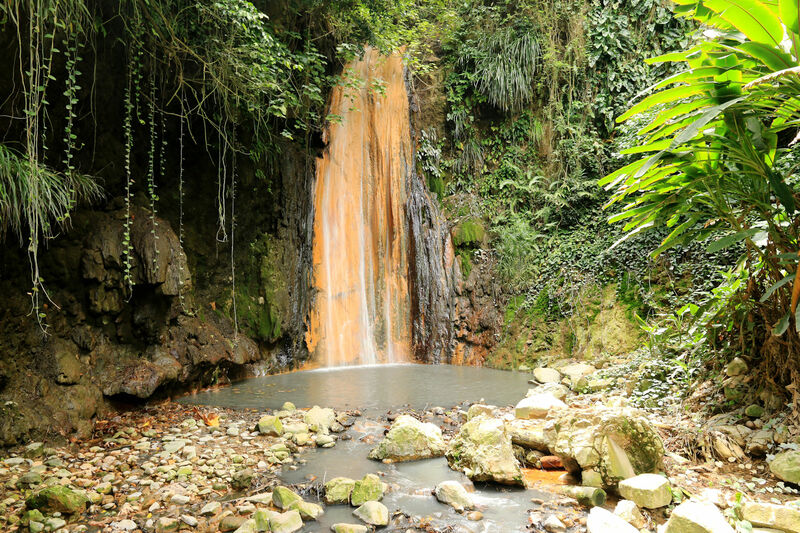 Located in Soufriere, Diamond botanical gardens and waterfall are one of St Lucia’s most beautiful natural wonders. This peaceful retreat is a haven of tropical beauty, lush rainforest and cascading falls. Swim in the natural baths and meander around 2000 acres of botanical gardens home to orchids, hibiscus, ferns, bamboo, jasmine, figs and a plethora of bird species. A truly rewarding day out. Open Monday – Sat 10am- 5pm, Sun 10am – 3pm. Entrance $7. The Piton Mountains are 2 UNESCO World Heritage volcanic plugs, formed by hardening magma over a volcano vent. You can discover their unique beauty in many ways: by boat, from afar or by climbing. Petit Piton is 2,461ft and highly challenging whereas Gros Piton is 2,619ft and less steep (which is the one you can climb). However, you’ll need permission and a guide to climb, who will explain the mountain’s history, geology and botany. 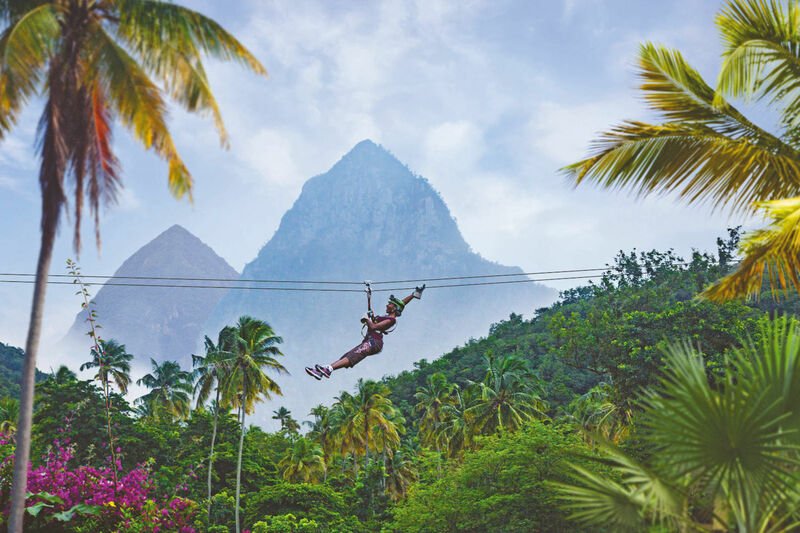 On climbing, your breath will be taken away by views of Soufriere bay, the green hills of the south and out to the Caribbean Sea. 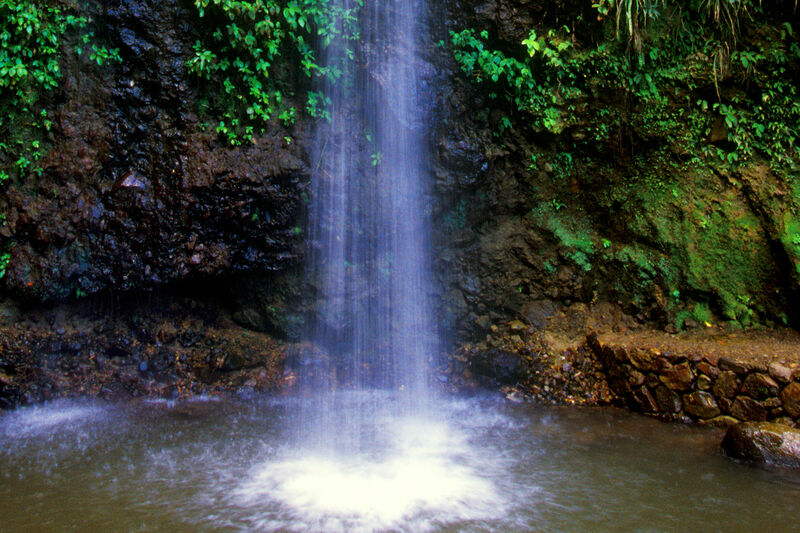 This easy to access waterfall is just outside of Soufriere. The falls are somewhere between 7 -10 metres high and are surrounded by botanical gardens. There’s a refreshing plunge pool and a nature trail to gently meander. Perfect for a spot of respite from the heat. Entrance fee $3. A picnic area, car park and changing rooms are all available. St Lucia’s golf club is a wonderful place to play golf. Lush fairways and manicured greens sit above stunning Caribbean waters. The challenging 18-hole golf course is spread over 6,744 yards of rolling Cap Estate Hills. The St Lucia Golf Club also offers Cap Grill restaurant, a relaxing bar and hosts several events and functions. For more information visit the official website. Or contact us at Classic Collection Holidays to arrange tee off times. Cap Maison Luxury Resort & Spa is a superb hotel located nearby for ease of access. A host of sailing opportunities await, included private yacht hire, day trips and tours as well as catamaran excursions and annual events. 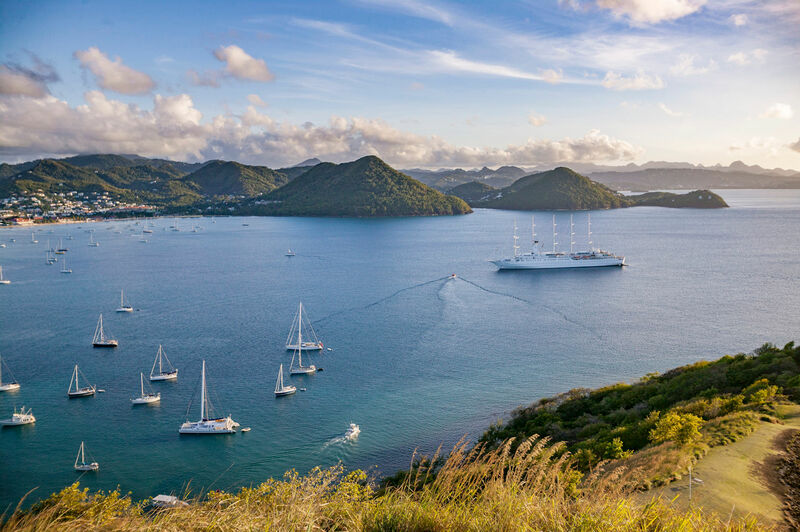 Rodney Bay and Marigot Bay are the main marinas where you’ll find everything from fishing boats to luxury yachts, but you can also catch a yacht straight from your hotel. 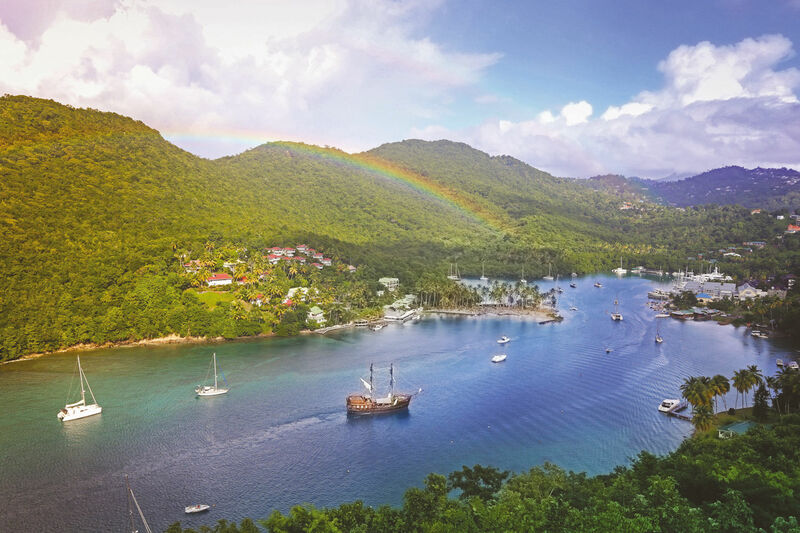 Gently sail down the calm west coast or more challenging east and absorb the warming trade winds and glistening Caribbean waters. 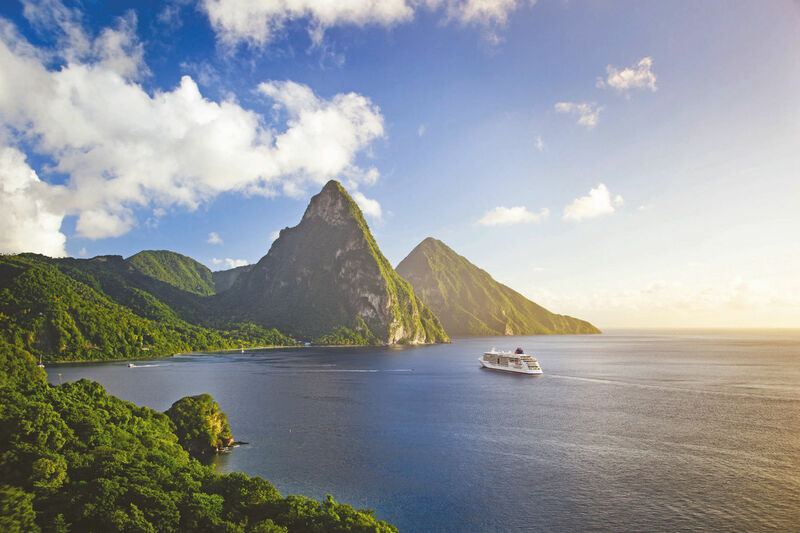 You’ll no doubt uncover jaw-dropping views of St Lucia’s unique landscape and spot a range of wildlife including dolphins. Watch cruise ships port or indulge in duty free shopping in the island’s capital. Meander through the public park or admire the colourful cathedral on Derek Walcott Square (Derek Walcott was a distinguished St Lucian Poet and Playwright). In Castries you’ll also find a 400-year-old saman tree, a renowned market and jaw dropping views over the city from Morne Fortune. To the north of the island is the horseshoe shaped Rodney Bay with its artificial lagoon and marina housing a plethora of bars, restaurants, shops and more. This charismatic resort homes two large shopping malls, luxury boutiques, art galleries, duty free shopping and the stunning Reduit Beach. A truly stunning bay that’s featured in Hollywood filmsets (Dr Doolittle) and one of the most essential places to visit in St Lucia. 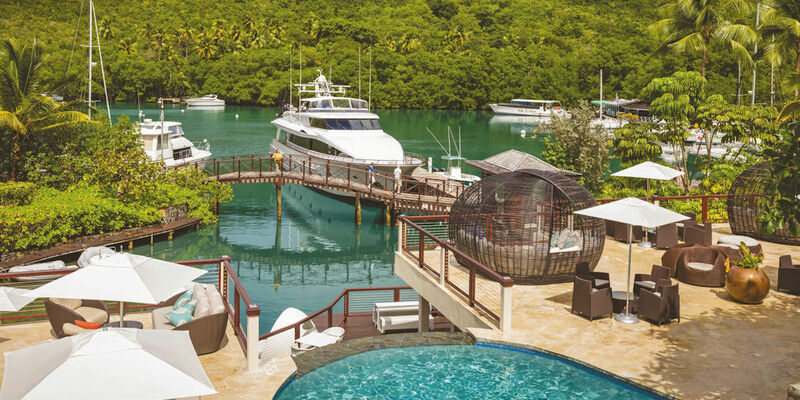 Energetic, sophisticated and pure paradise, Marigot Bay is perfect for waterside lunch, a relaxed dinner or to simply meander about and soak up the sights. Marigot Bay is also famous for being the only bay with a hurricane hole in the Caribbean. Whether it be from between the Pitons, at a restaurant terrace at Marigot Bay or from your hotel balcony, sunsets in St Lucia are phenomenal. 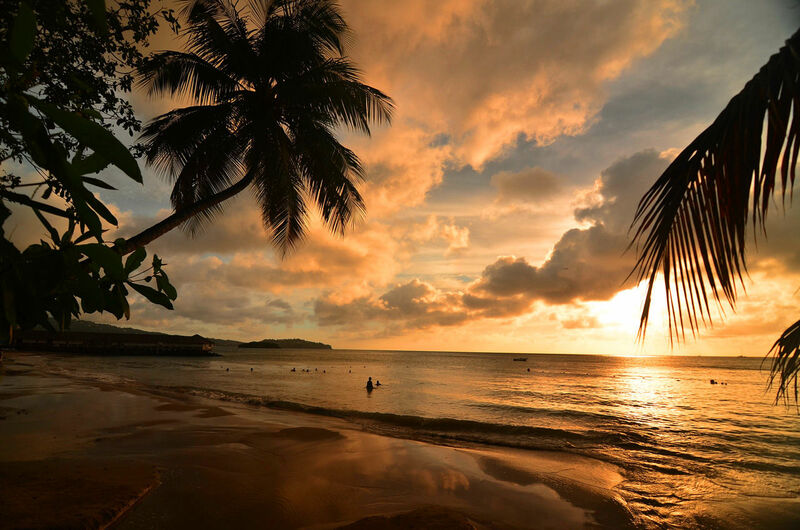 The best places to watch the sunset in St Lucia include hotels, resorts and beaches along the west coast. 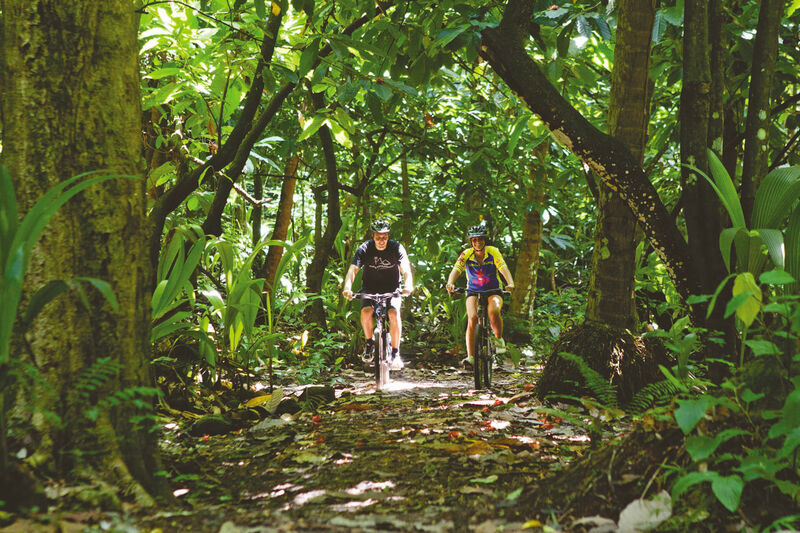 Throughout St Lucia’s 19,000 acres lush interiors are a myriad of trails of varying difficulties. Popular trails include Edmund Forest Reserve, Tet Paul Nature Trails, Des Cartier Trail and Barre de L’isle Forest Reserve. Spot exotic flowers, distant mountain views and volcanic steam as well as a wealth of wildlife such as the Zandoli lizard and parrots. You can also cycle some of the trails. 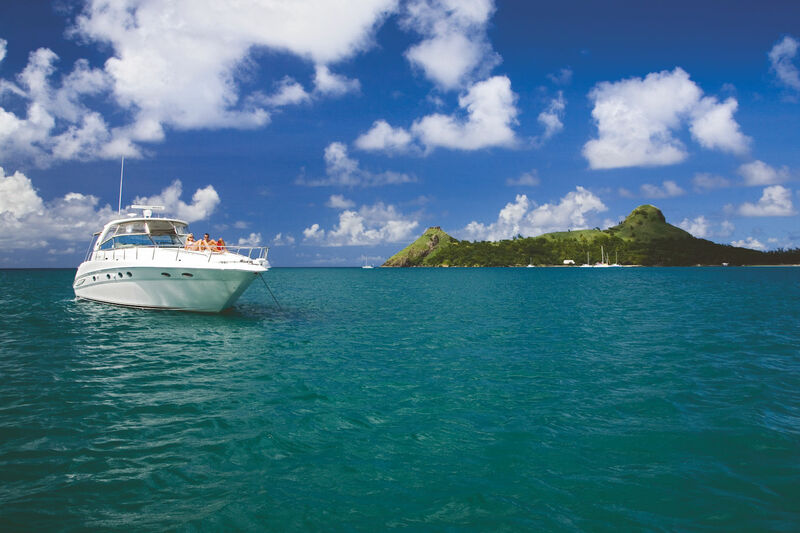 The warm Caribbean waters of St Lucia are teeming with marine life. Colourful fish and fascinating fauna can easily be spotted by snorkelling. 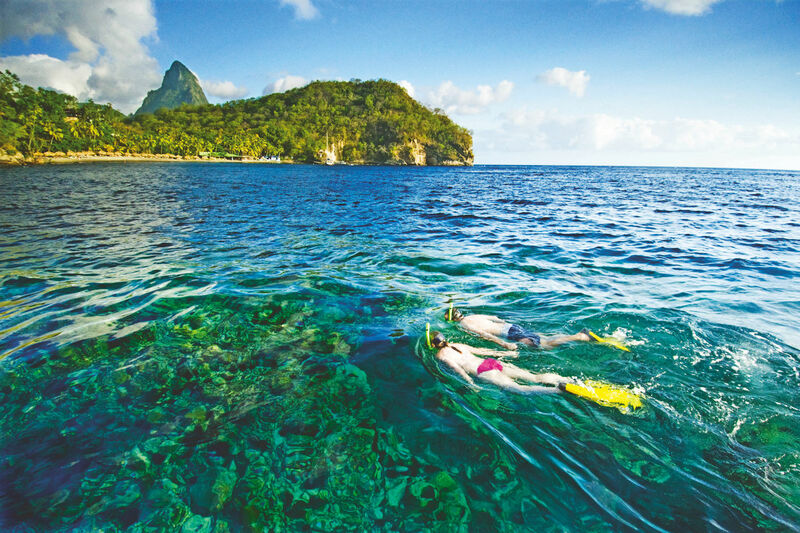 Just 10m from Anse Chastanet beach is an offshore marine park which is superb for snorkelling. There are beautiful dives all around the island including shipwrecks, volcanic reefs, the base of the pitons and one of the Caribbean’s top 5 shore dives (Anse Chastenet marine reserve). You can now even SNUBA – this involved diving 5 metres down with a source of air flow without tanks! 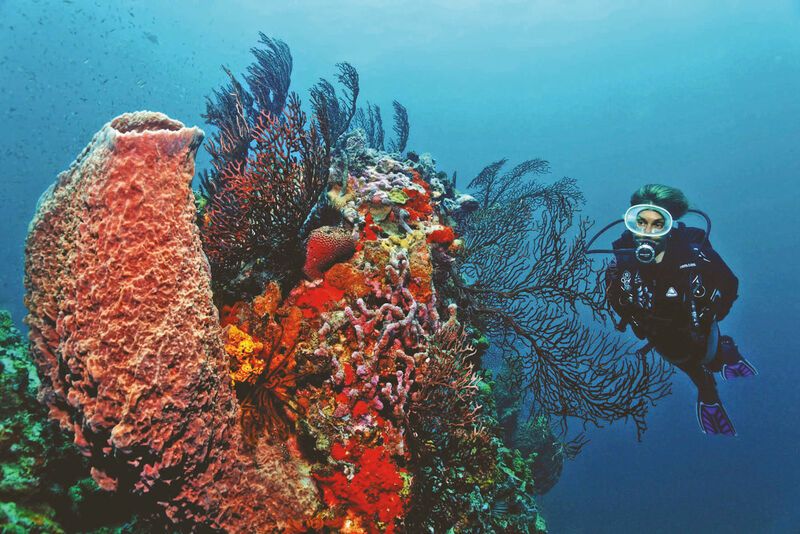 Dive centres are located across the island offering courses and certifications. Creole horses love to swim. You can experience a gentle beachside ride and meander through beautiful trails. 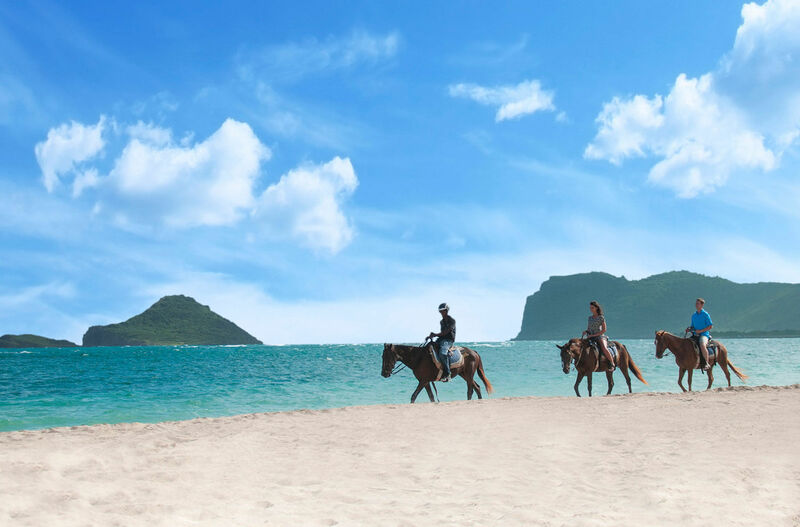 Once on the beach you can ride your horse for a shallow walk in the sea. A peaceful day trip, Lushan Country Life gives an authentic taste of a simpler time in St Lucia. Start the day with a scenic walk through nature and listen out for bird calls. Visit flower and herb gardens and sample tropical fruits straight from the tree. Then visit Mama and listen to her kitchen tales and historic stories of St Lucia. 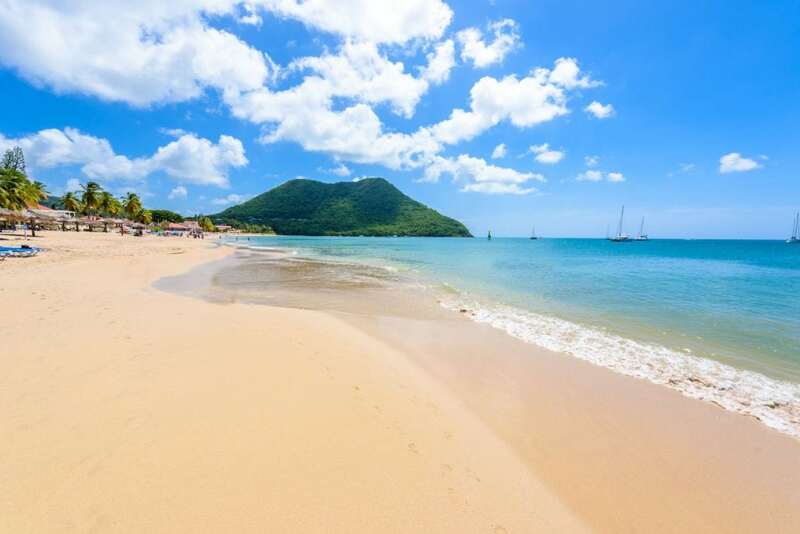 Reduit beach is Rodney Bay’s one-mile long masterpiece made up of perfect golden sands and clear waters. The beach is known to be excellent for families with its inflatable water park. Splash Island Water Park features inflatable climbing walls, monkey bars, trampolines, volleyball, walkways and bouncy castles, all floating above water. Ages 6+ only prices from $13 per hour. With its proximity to the volcanic pitons, Anse Chastanet’s 150m beach has volcanic silvery sand with a forested backdrop. Located to the south west of the island, a reef and marine park sits just 10m away from the shore line. 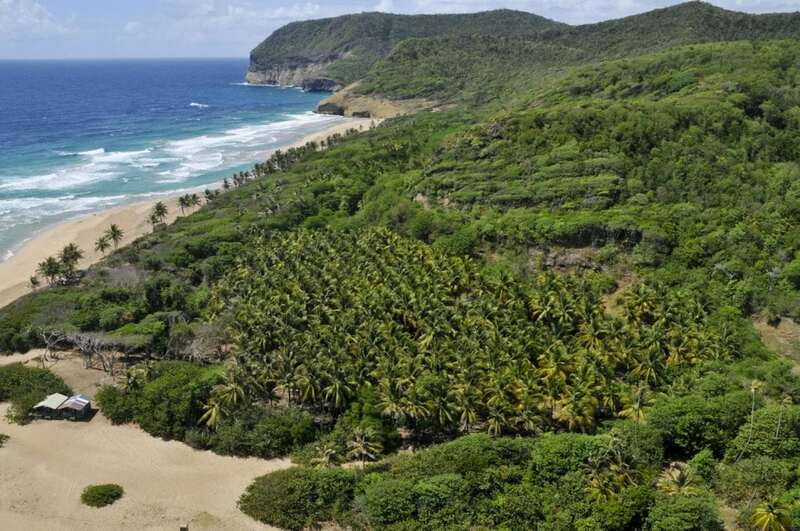 Located on St Lucia’s mountainous east coast, this beach is more secluded and untouched. In fact, the peaceful white sands are soon to become part of the national park due to the population of leatherback turtles who nest here. 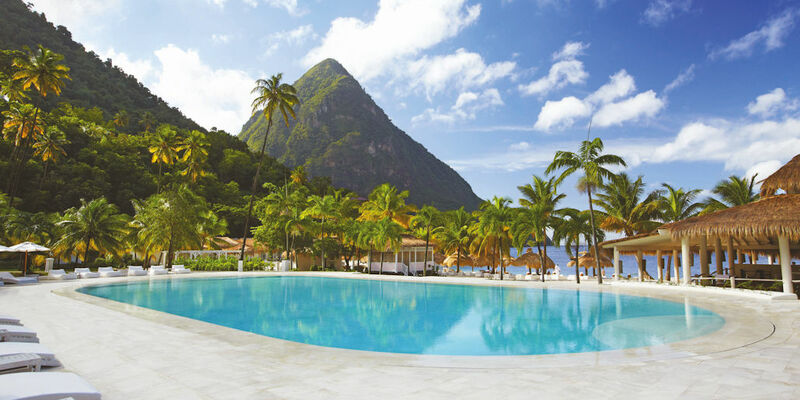 Nestled between the Pitons, the views from this white sand beach are truly unique. 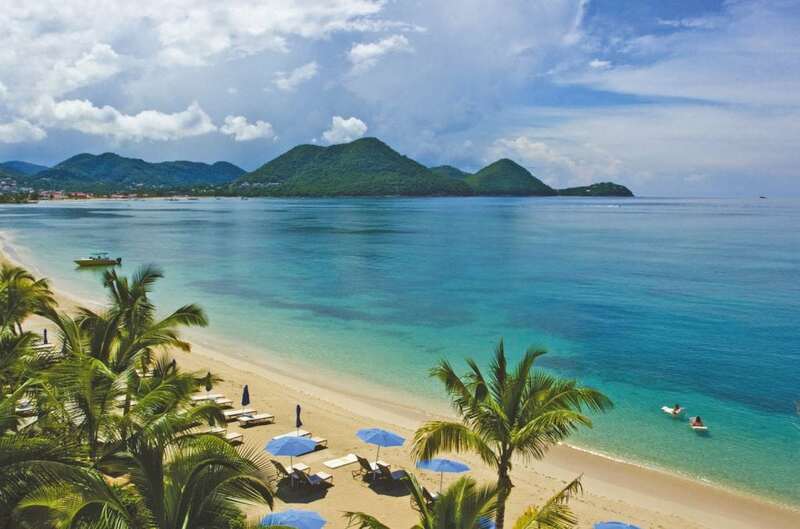 Located on the islands west coast, there is no better place to appreciate Saint Lucia’s beauty. This islet is home to two sheltered beaches. These beautiful golden strips, as part of the national park, are picturesque and delightfully shaded. Its peaceful atmosphere and national park credentials attract families, couples and locals alike. St Lucian cuisine is a mixture of French, British African, Indian and Amerindian influences. 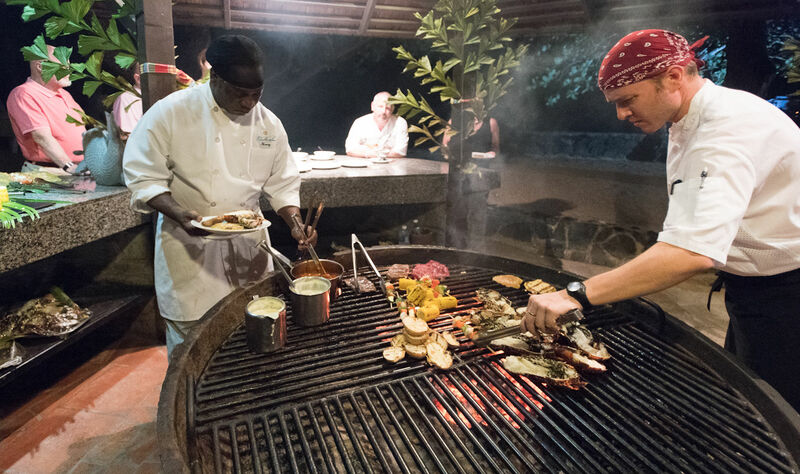 It’s all hearty with a heavy reliance on local produce which include banana’s (over 170 varieties), cocoa beans, tropical fruits, breadfruit, plantain, coconuts and fresh seafood including lobster & crab. Lambi/Conch – Conch is a large shellfish with a succulent meat usually paired with spicy Caribbean sauces. Green Figs and saltfish – Known as their Sunday dish, Green figs are unripe bananas (plantain). Callaloo – A leafy soup made from spinach like vegetables seasoned with meat, garlic and more. Accra – Fried fish cakes served with salted cod and local seasoning. Pepper Pots stew – A hearty stew made with fish, meat, vegetables or whatever’s at hand. Cocoa Tea – A breakfast tea made with fresh cocoa. A savoury twist on a hot chocolate. Piton Beer – A pilsner larger brewed by Windward & Leeward Brewing Ltd.
Fresh coconut water – Straight from the tree is as fresh as it gets. Full of antioxidants and electrolytes. Rum – Be it Bounty, Chairman’s Reserve or Admiral Rodney Extra Old, Rum is a huge part of St Lucian culture. Try it straight or as a beloved rum punch. Several distillery’s also offer tours and tastings. For more Caribbean cuisine visit out post Caribbean cuisine you must try. 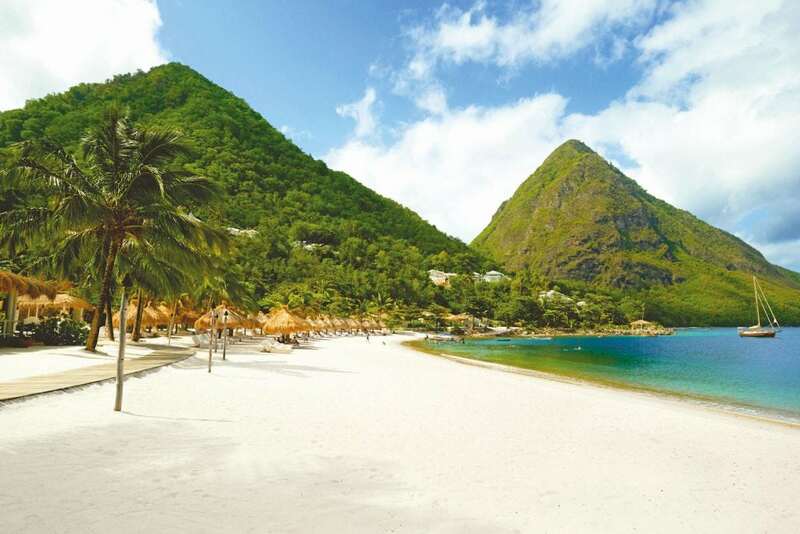 For a guide to St Lucia’s restaurants the tourist board has an excellent page here. 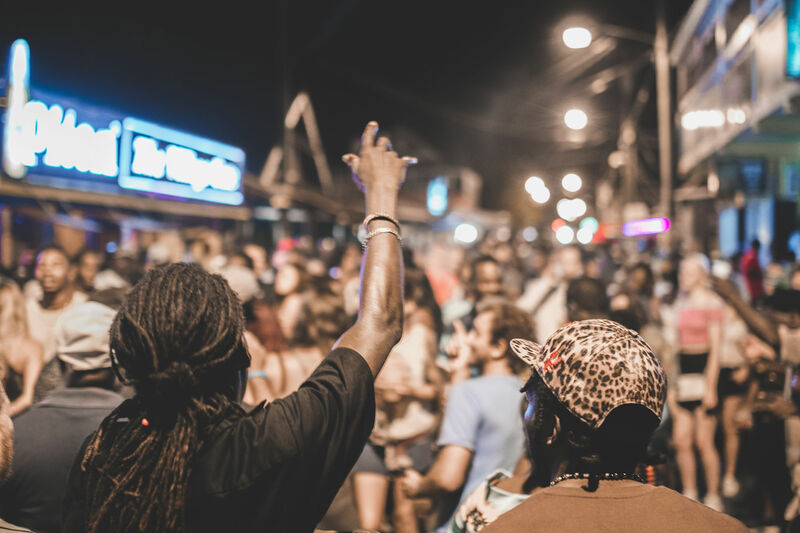 Gros Islet Jump Up – Every Friday night Gros Islet lights up with its very own street party. BBQ stalls, street food and an all-round infectious vibe can all be found here. Simply drink rum and dance along. Every Friday from 8pm till late. Canaries Creole Pot – Held on the last Saturday of each month, Creole cuisine and live entertainment steals the show. It’s a great taste of local culture with vendors dressed in national costume. The best international shopping in St Lucia can be found on the Rodney Bay Baywalk mall or in Castries where there are numerous shops and malls. Duty free shops can be found at most of St Lucia’s shopping centres including Rodney Bay, Castries and Marigot Bay. Hundreds of sellers and stalls set up with everything from tourist souvenirs to fresh produce and everything in between. With plenty of smiling locals and colourful stalls, it is a real taste of local culture. Monday – Saturday. 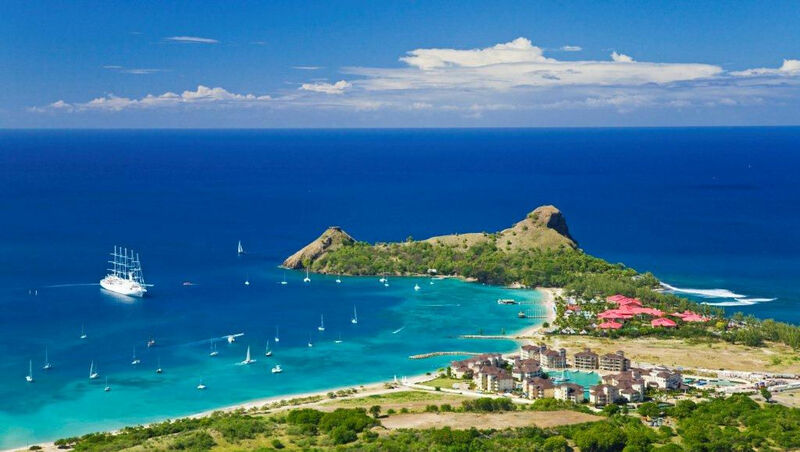 St Lucia enjoys a year-round tropical climate. November to March is considered high season. September to October is hurricane season although they aren’t that common and July – August are the hottest more humid months. In May musicians come from all over the world to take part in the Saint Lucia Jazz festival. Car hire and taxis are plentiful. Water taxis and ferries can take passengers between the north and south. The dollar bus (16 seater private vans) are a cheap and fun way to get around the island (it’s around 50p per journey). An unparalled romantic retreat, nestled above the rainforest canopy, with the most inspiring views of the Piton Mountains. Jade Mountain is the adult only sister hotel of Anse Chastenet. It’s stunning views, private infinity pools and open plan design have earned it the reputation of one of the most romantic hotels in the Caribbean. Located on it’s own private marina on the paradise sands of Rodney Bay Beach, The Landings is perfect for families and couples alike. With a superb children’s club and programme of activities children are well catered for. It’s elegant style, four impressive outdoor pools and proxemity to Rodney Bay make it a tempting retreat. Located in the picturesque Marigot Bay, this hotel is the perfect base for exploring, dining out and soaking up the luxurious atmosphere of St Lucia’s most beautiful bay. As well as genuine hospitality and first-class service, this hotel boasts beautiful design, two glorious infinity pools and tempting botanical gardens. In regards to romantic locations, it doesn’t get much better than Sugar Beach. 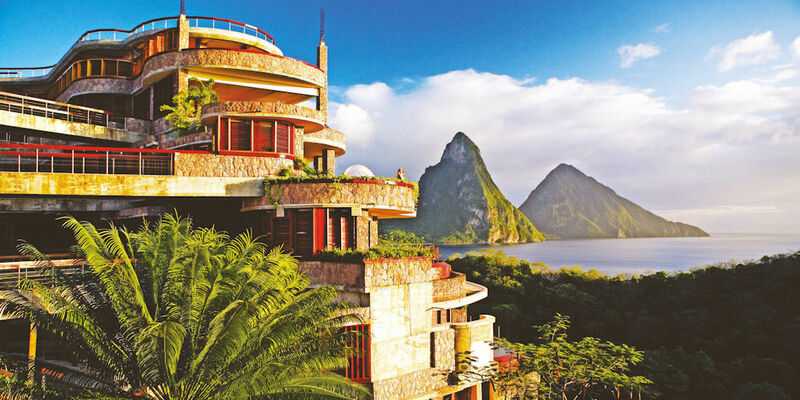 Located between the two Pitons, this lovingly crafted hotel is a haven of luxury. 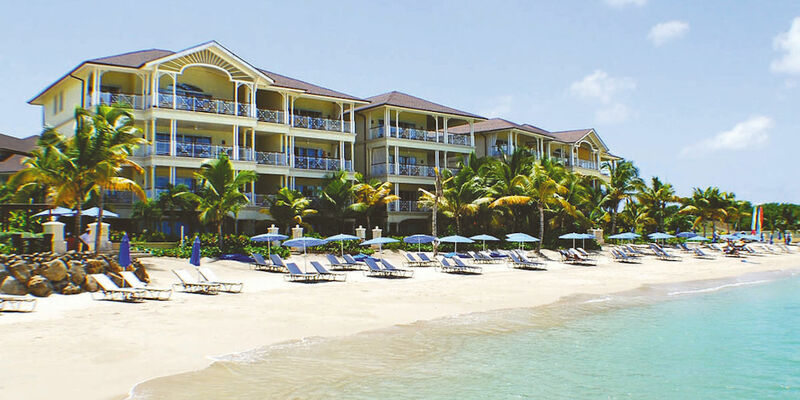 With its own white sand beach, elegant accommodation and exceptional cuisine, Sugar Beach is perfect for those who enjoy a relaxed ambiance and unrivalled service.